Use the slider to translate the angle. 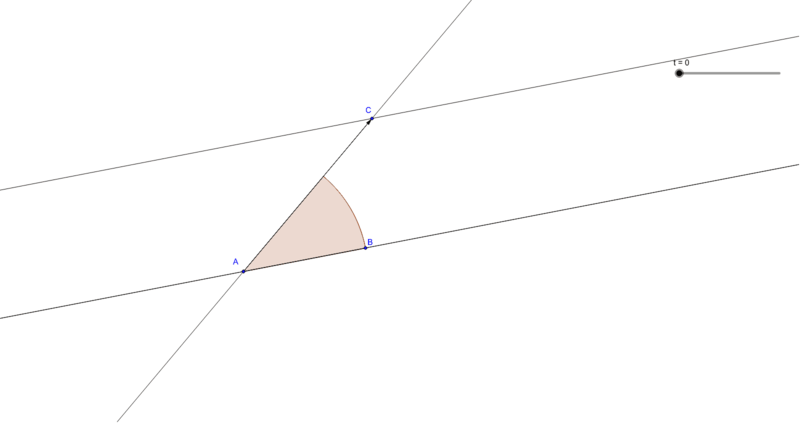 Drag any of the points on the lines to change the angle. Why does the translated angle have the same measure as the original angle? What does this tell us about the measures of the two corresponding angles?